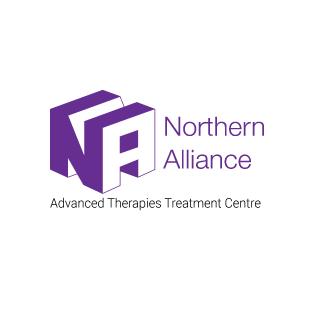 The Northern Alliance Advanced Therapy Treatment Centre (NAATTC), formally established in March 2018, is a consortium of twenty industry, NHS and academic organisations led by Newcastle Hospitals and the Scottish National Blood Transfusion Service (SNBTS). The purpose of the centre is to develop the systems and infrastructure required to support the delivery of cell and gene therapies with the ultimate aim of increasing patient access to advanced therapy medicinal products (ATMPs) on a national level. NAATTC’s vision is to increase patient access to advanced therapy medicinal products (ATMPs) regionally and nationally by growing a cost-effective clinical delivery pathway which meets the needs of the providers of advanced therapy products. The centre has a patient reach of circa 15 million spanning the North of England and Scotland and is working across two healthcare systems. 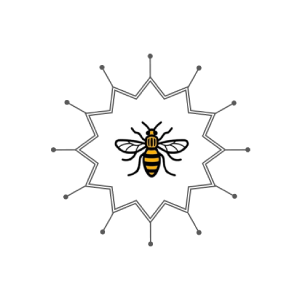 The centre will focus on all elements of the clinical delivery pathway from procurement of starting materials, near patient GMP, distribution and administration through to delivery of clinical trials and adoption and reimbursement across a range of advanced therapies and indications. This will entail the participation and collaboration of nurses, medical clinicians, hospital pharmacists, NHS managers, clinical commissioners and companies. The NAATTC works across the north of England (Leeds and Newcastle upon Tyne) and Scotland. Roll out and disseminate best practice regionally and nationally. 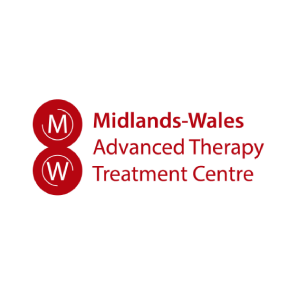 The Centre will develop best practice for safe and effective delivery of advanced therapies to patients. This will include robust and connected supply chains, tracking and tracing systems compliant with regulatory standards, patient follow up and data repositories and ultimately adoption and reimbursement based on clinical service delivery as well as product costs. A key component will be the use of informatics to achieve utility at scale in all elements of the clinical pathway, including product release. The project will map Institutional Readiness Levels (IRLs; how far an organisation needs to adapt to embrace a new technology given pre-existing practices and infrastructure) for disruptive advanced therapies within the NAATTC and across the NHS and enable the therapies to achieve the highest IRLs within the time frame available. Close interaction between NAATTC, product and supply chain companies, regulators, health economists and healthcare commissioners will be essential to achieve this. NAATTC’s innovative approach includes development with commercial partners of new and robust supply chains, tracking and capture processes, a harmonised Toolbox for procedures and processes, innovative training networks and novel ways to approach health and safety, including follow-up. Michael Whitaker, Galen Biomed Ltd. The NAATTC is overseen by governance structures including a Steering Board, made up of representatives from each Partner Organisation, an Executive Team as detailed above, and a Clinical Advisory Group and Industry Advisory Group. Further details of these structures and their Terms of Reference are available below.